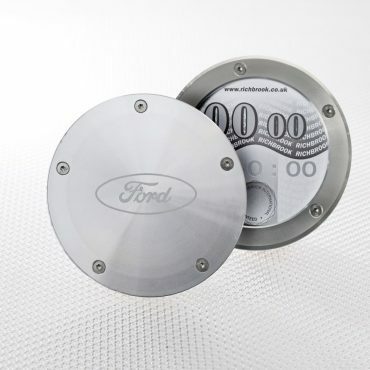 Our extensive range of Tax Disc Holders can be used to display Resident Parking Permits, National Trust Permits and other Club Membership windscreen stickers. 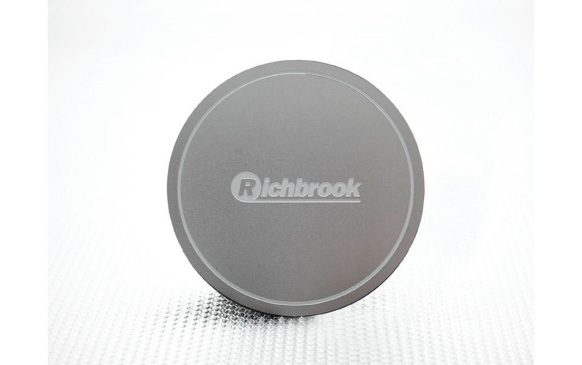 With a stunning engraved Richbrook logo design and self-adhesive magenetic ring piece for quick and easy fitment, the Richbrook Magenetic Tax Disc Holder is stylish and practical. 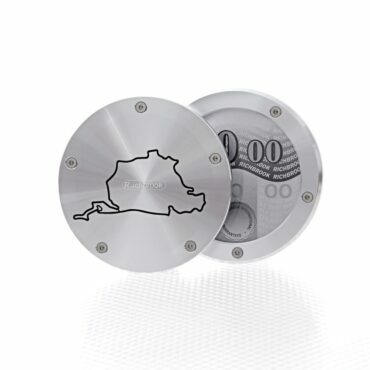 As automotive icons go, the infamous twists and turns of the Nurburgring rate up there as one of the 'must do' experiences for petrol heads everywhere, hence why we have just released a strictly limited edition of our World-famous tax disk & permit holder that immortalises the most respected 14 miles of tarmac on the planet. Finished in Green Hell or Sudschleife Silver, these instant classics feature our unique twist off back design to allow easy changes. 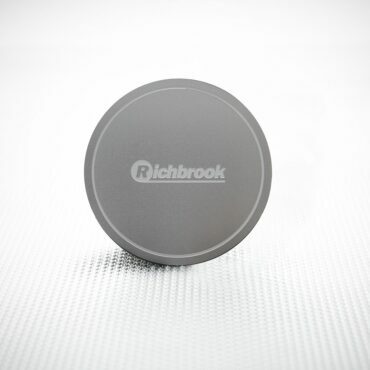 Each holder is precision machined from a solid aluminium billet and comes complete with stainless rivet details and all self adhesive fixings required for an easy and instant fitment. The perfect complement for your Ring taxi, whether it's a Golf Gti – or a 911 GT3. 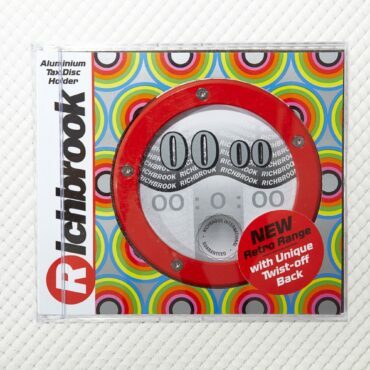 This is where it all started for us, our own design and manufacture that has been copied but never beaten! While it may be remembered as the decade that taste forgot, compared to the monochromatic 80s and pastel-hued 90s, car designers from the 1970s seemed to have a lot more fun with their colour palette. Thankfully, with fashion being a cyclical business, manufacturers like Ford, Porsche and Dodge have once again been bold enough to release models like the Focus RS, Cayman and Challenger in shades that wouldn't look out of place at a roller-disco. 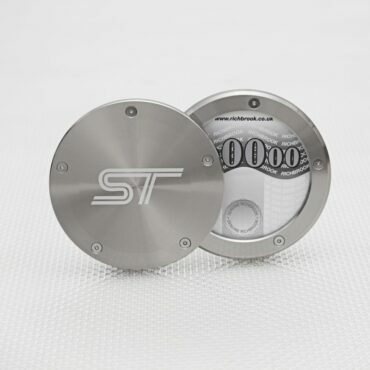 Ever one to reflect the times, we have released our best selling aluminium tax disk holder in a stunning range of vibrant colours to match or contrast with the paint of your ST, RS or SRT! 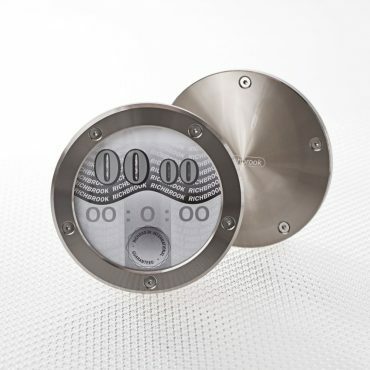 The holders fit quickly and neatly to the windscreen with the clear adhesive pads supplied and the back simply twists off to allow the insertion of a new disk. What could be simpler? 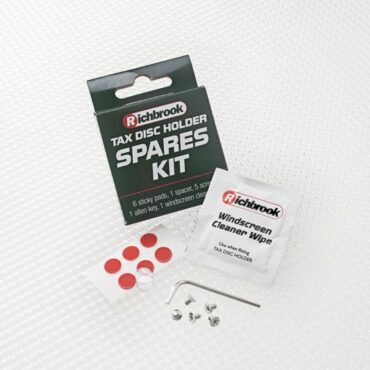 Now you can swap your beloved Richbrook Tax Disc & Permit Holder from car to car thanks to this handy Spares Kit. Knowing you’re all busy people, we took the design for our best-selling holder and added an ingenious twist-off back to make changing a disk about as hard and as time consuming as opening a jar of marmalade! Simply twist the back 10 degrees to remove.